Use household alcohol and a cotton ball to gently wipe the surface of a vinyl LP sleeve. This will remove dust, dirt, tape residue and some pen marks. Be careful with all sleeves as the ink will bleed on some. Try a small test spot in the corner first to test. 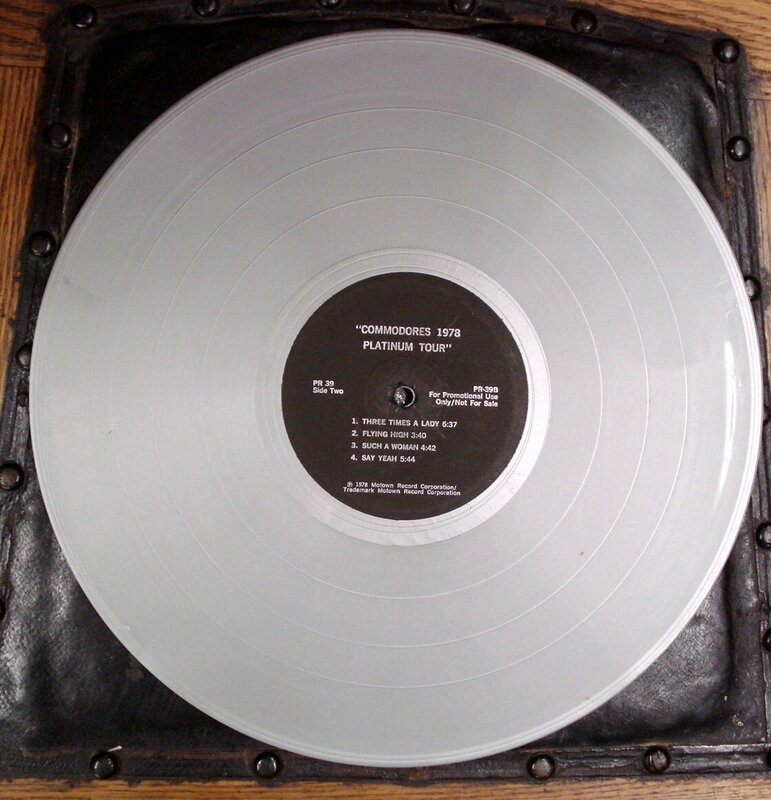 As for the vinyl record itself; use Windex and a clean soft cloth wiping with the grooves. Be careful not to spray it on the record label. In extreme cases you may try setting them outside somewhere dry on a sunny day (under 85 F) for an hour or two maximum. Be careful you don’t leave them outside too long or they may melt! 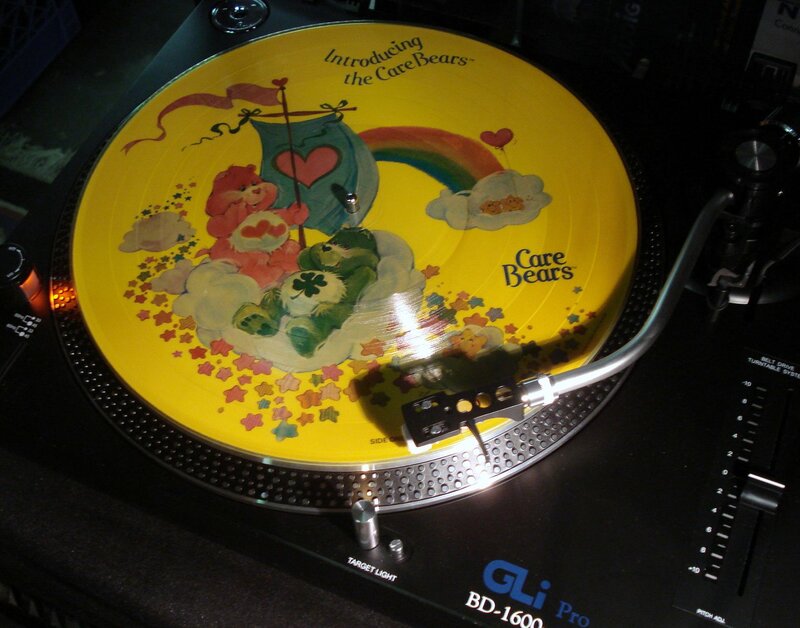 This "Care Bears" vinyl record is clean and aromatic. Produced by Motown Records in 1978, The Commodores Platinum Tour album was a platinum colored LP record. The album featured four of their hits from the album “Natural High” including, “Three Times A Lady”, “Flying High” and “Such A Woman”. 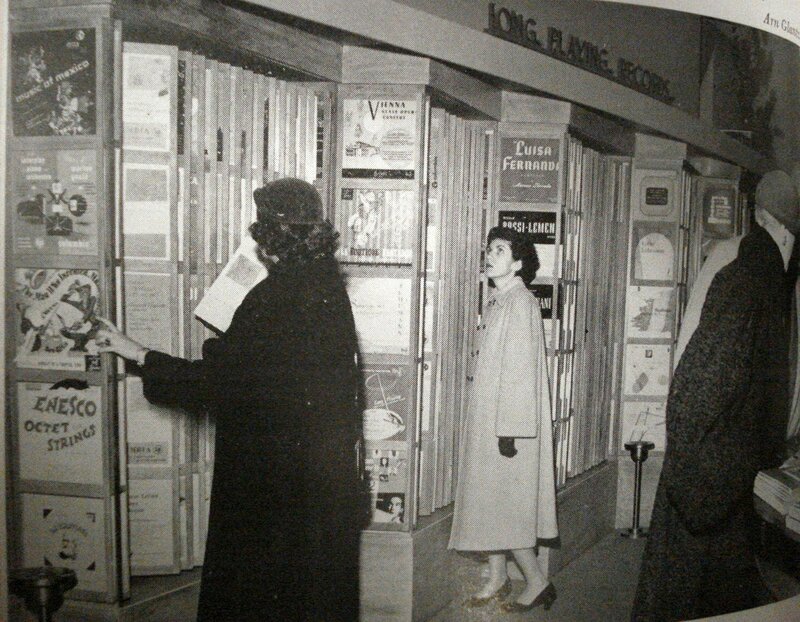 The release of The Platinum Tour albums was preceeded by a coast-to-coast American tour. Black Moses was produced by Enterprise Records of Memphis, TN. The record sleeve folded out to a cross shape and featured Chester Higgins, Senior Editor of Jet Magazine who penned a biography for Hayes and the genesis of his famous “Memphis Sound”. R.I.P. Isaac Lee Hayes, Jr. – August 20, 1942 – August 10, 2008.